For more information about the department, honors/high honors, transfer credit, etc., visit the history department page. There are two pathways through the history major: The Field of Focus (FOF) Program and the Global Program. Both require nine courses. Students in the Field of Focus Program develop their specialization (i.e., field of focus) in consultation with their academic adviser. Students who choose this program are required to submit a field of focus statement at the time of their major declaration and will normally update or revise the statement at least once prior to enrolling in a 400-level seminar. Students may select their courses to fit one of the department’s suggested fields (see above), or they may design their own field of focus in consultation with their adviser. 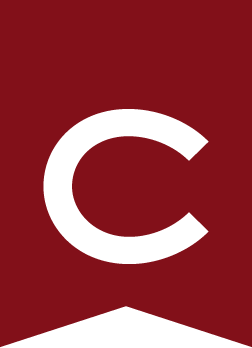 One of the nine courses may be taken outside the department at Colgate, subject to the approval of the student’s academic adviser and the History Curriculum Committee. These courses might include advanced (300-level) foreign language courses or courses from other disciplines closely related to their field of focus. To encourage breadth of study, each of these three must carry a different geographic designation (see list above). Only one of the nine courses for the major may be taught by a non-departmental historian. This includes history courses offered in off-campus study groups, at other institutions, and at Colgate; all such courses are subject to the approval of the student’s academic adviser and the History Curriculum Committee. Students must have achieved a minimum GPA of 2.00 over all courses taken in the department. To be admitted to the major, students must have earned a GPA of 2.00 in all history courses taken. Students not meeting this requirement may petition the department for permission to begin the major.